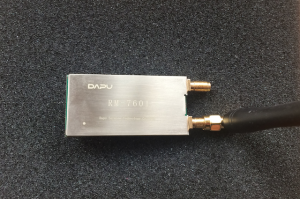 During the last LoRa Alliance meeting in Rotterdam we discovered a new LoRa modules made by Shenzhen (China) based company, Dapu Telecom. There are 4 options available, 2 radio only modules based on SX1272 and SX1276 Semtech chips and two complete modules with MCUs also based on SX1272 and SX1276 called respectively RM7201 and RM7601. For this exercise, we obtained radios with MCUs. One important note, there is no specific part number for EU, Asia or North America. According to Dapu, the software stack will set the radio into the respective ISM band for your region. This requires further investigation, as small hardware changes between EU and North America (RF part) are present in Semtech’s reference designs. 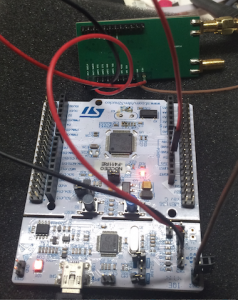 Both of them use the same MCU – STM32L151C8U6, only the radio is different as mentioned above. 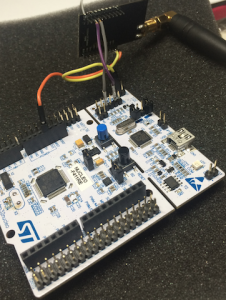 If you go to the official Semtech git repository and look at their demo code, you will find out that Semtech uses the STM32L151 MCU series as well, just using a different variant of this MCU. This will most likely allow us to port the Semtech LoraWan stack to DAPU hardware with minimal effort. First, let’s try the “big one” – RM7601. Get the latest source code for the Semtech LoRaWan stack from https://github.com/Lora-net/LoRaMac-node or just download the latest zip file from https://github.com/Lora-net/LoRaMac-node/archive/master.zip. 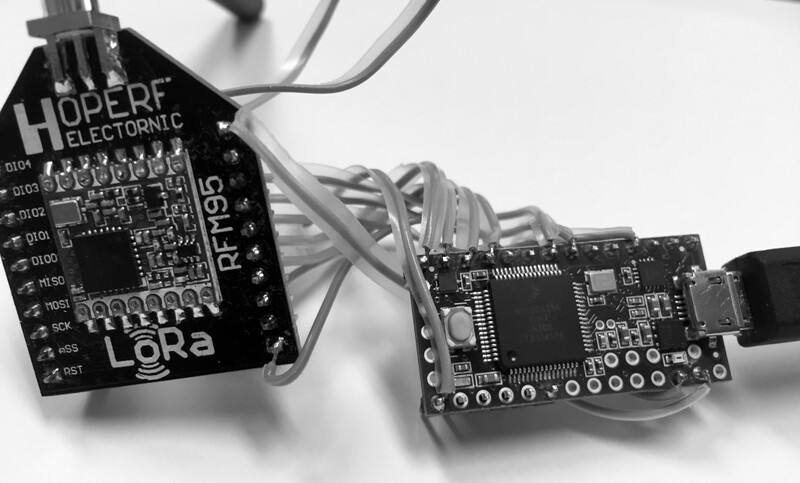 Store the source code onto your local hard drive, let’s say C:\LORA\ and unzip it, then go to C:\LORA\LoRaMac-node-master\Keil\SensorNode\LoRaMac\classA, use Keil5 (i used Keil5.17 lasted one) to open the project. Why “SensorNode” demo code? because that code uses the same MCU as one used in RM7601 module. As Semtech used Keil4 to create the LoRaWAN demo code, Keil will first migrate the project to Keil5 when you first open it, just allow it do to so. The most important ones are the SPI bus 4 wires and radio DIO_0 to DIO_5 definitions, just make sure that you have correct pin definition in your code. Please pay attention, the AppEUI is reversed (LSB ENDIANNESS). As my LoRa Gateway is running at 915Mhz frequency, I changed the compiler option to “Loramac-915”. It is important and don’t forget to set this for properly your region. 8:19:36:721|TRACE| SQL query = SELECT address FROM nodes WHERE deveui = "efcdab8967452301"
8:19:36:724|TRACE| SQL query = UPDATE nodes SET authenticationkey = "bac1a83854b7545eec7e3df4f305991d", encryptionkey = "9839190af648989e6d344ac5078cc4ce" WHERE address = "00000007"
8:19:36:731|TRACE| SQL query = UPDATE nodes SET jointime = "2015-12-21T08:19:36Z" WHERE address = "00000007"
8:19:36:734|TRACE| SQL query = UPDATE packets SET port = 2, seqno = 0, gateway = "0080000000009f6c", time = "2015-12-21T08:19:36Z", microseconds = 713268000, rssi = -27, channel = 7, lsnr_cB = 98, spread = 10, modulationbandwidth = 125, data = "0123456789abcdef279b" WHERE node = "00000007"
8:19:36:738|TRACE| SQL query = UPDATE nodes SET lastuppacketid = 1, lastmessagems = 51204 WHERE address = "00000007"
8:19:36:740|TRACE| SQL query = UPDATE gateways SET lastuppacketid = 1 WHERE address = "0080000000009f6c"
8:19:41:599|TRACE| SQL query = UPDATE nodes SET lastdownmsgseqno = 2 WHERE address = "00000007"
Seems that everything worked right away and we’ve joined the gateway! There are a few parameters we can verify in the gateway log above, which are marked in bold. Next, let’s try the “small one” – RM7201. 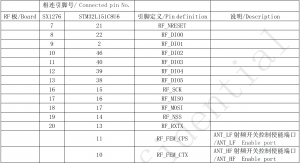 The RM7201 uses same MCU as the RM7601, just the RF radio is different, SX1272 instead of SX1276. 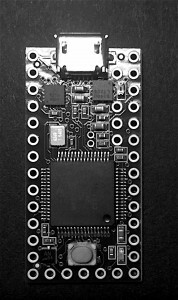 For both the SX1276 and SX1272 data sheets, check the Semtech website: http://www.semtech.com/apps/product.php?pn=sx1272&x=0&y=0 http://www.semtech.com/wireless-rf/rf-transceivers/sx1276/ and http://www.semtech.com/apps/product.php?pn=sx1272&x=0&y=0. As with RM7601, I expected simply changes in the config files, but unfortunately, it was not that easy . At the beginning, I’ve tried to use the same project – NodeSensor, but I quickly found out that I would have to port the SX1272 driver as this project does not include support for the SX1272. Porting the SX1272 driver should be easy as most likely it would involve just changing some header definitions. However, after looking deeper into Semtech code, I found another project which does have support for the SX1272, the Loramote project. 9:12:53:8|TRACE| SQL query = SELECT address FROM nodes WHERE deveui = "3238313873346301"
9:12:53:10|TRACE| SQL query = UPDATE nodes SET authenticationkey = "99e47e148873a6e32ceff9a3eccd2233", encryptionkey = "96f44cb0d5c2a3900aaf20e9ef8f931b" WHERE address = "00000005"
9:12:53:15|TRACE| SQL query = UPDATE nodes SET jointime = "2015-12-21T09:12:53Z" WHERE address = "00000005"
9:12:53:19|TRACE| SQL query = UPDATE packets SET port = 2, seqno = 0, gateway = "0080000000009f6c", time = "2015-12-21T09:12:53Z", microseconds = 308000, rssi = -61, channel = 0, lsnr_cB = 58, spread = 10, modulationbandwidth = 125, data = "0163347338313832233c" WHERE node = "00000005"
9:12:53:22|TRACE| SQL query = UPDATE nodes SET lastuppacketid = 1, lastmessagems = 35856598 WHERE address = "00000005"
9:12:53:25|TRACE| SQL query = UPDATE gateways SET lastuppacketid = 1 WHERE address = "0080000000009f6c"
9:12:57:891|TRACE| SQL query = UPDATE nodes SET lastdownmsgseqno = 64 WHERE address = "00000005"
and….I can confirm that RM7201 is also operational and registered with my LoRa Gateway. Again, I have some reservations due to luck of any usable sample code from Dapu as well as a single hardware design for all regions. 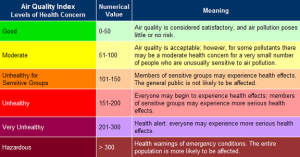 You, should also confirm if all necessary approvals are actually available for your region. 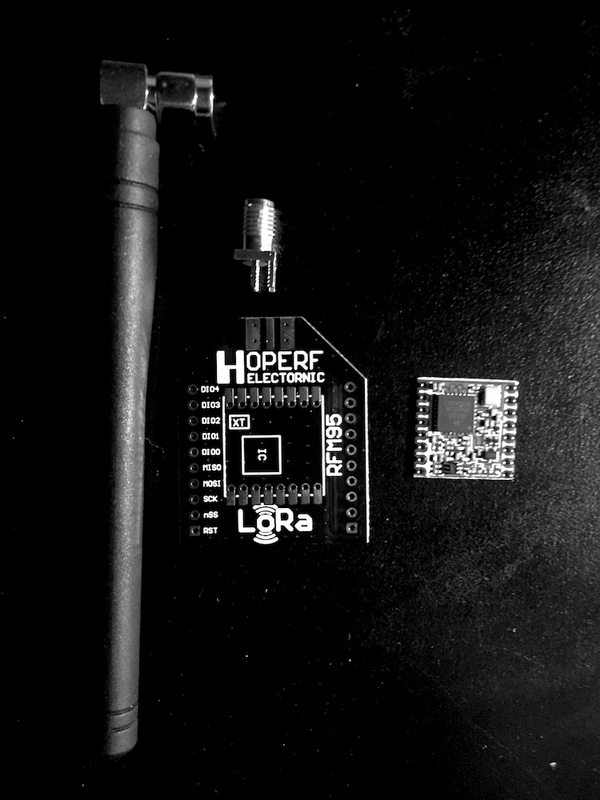 HopeRF RFM95, Teensy and Multitech LoRa Conduit working together. In order to test HopeRF radio, I decided to use the existing code running on Teensy MCU (v: 3.2) in public LoRa mode. Keep in mind that my goal here is to focus on HopeRF’s radio testing as Teensy MCU is way too expensive and consumes too much power to even be consider it for production usage. Since Teensy is basically yet another Arduino Development Platform, we will use Arduino SDK with Teensyduino add-on to program Teensy with IBM’s LoraMac. You can just follow this set of instructions to get Teensyduino running on your platform. Once installed, try compiling one of the demo programs for Teensy, just to make sure that everything went ok.
Now, we are ready to proceed with actual LoRaMac code. First, Clone the whole package to your system, then add it as new library to your Arduino SDK. I will be using defaults with the exception of the DevAddr below. In the main file, we need to change DevAddr to something unique globally. //In this example I used 0x03FFEBB2, you will see it below in the section when we define node manually in gateway's db. This is equivalent of MAC address associated with your Ethernet port. In production, you will have your own prefix, obtained from IEEE, but for now we can just use anything, as long as it’s not duplicated on your network. 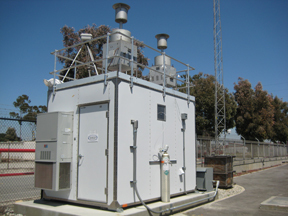 Then, we will adjust Spreading Factor from 11 to 9 to match gateway configuration (as per FCC in North America, Spreading Factor could be between 7 and 10). 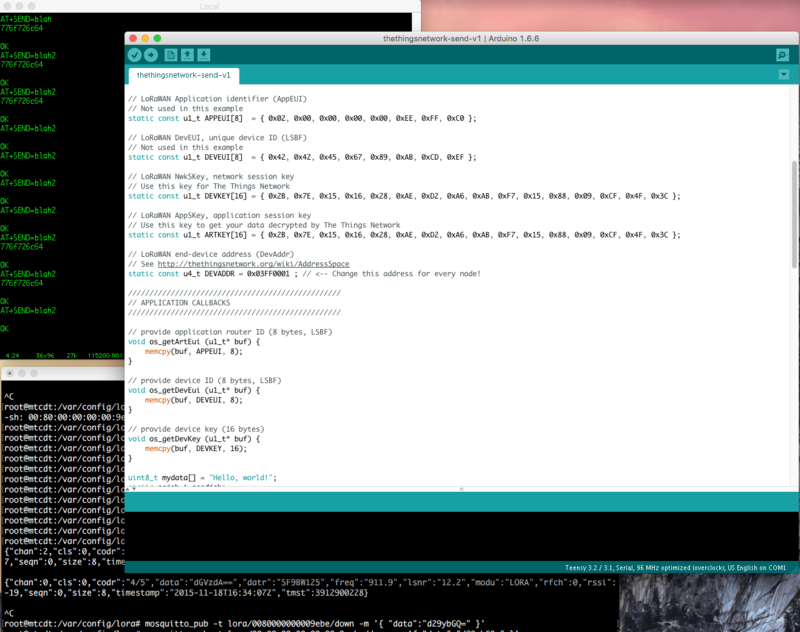 Now, you need to use your favoured editor to change the config.h located under arduino libraries (in case of MacOS: /Users/<Your User Name>/Documents/Arduino/libraries/arduino-lmic-v1.5-master/src/lmic to support 915MHz as North American ISM frequency and SX1276 chip for RFM95 HopeRF radio module. 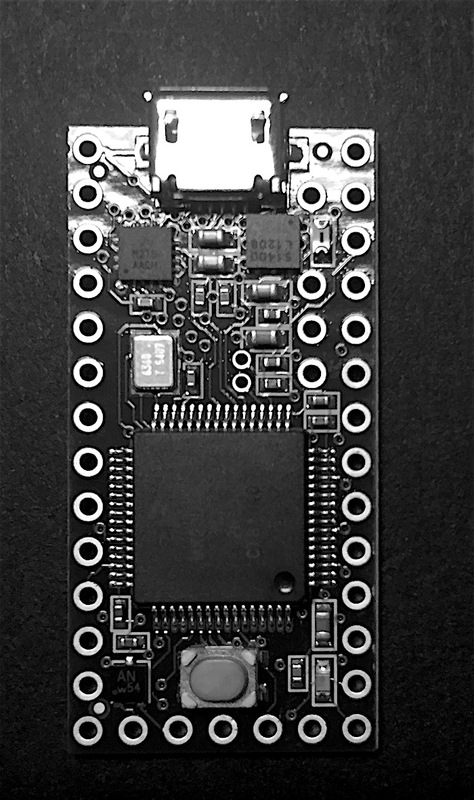 You can connect your Teensy, compile your code and program your board. Depending if you run gateway or packet forwarder, go to you logs or run mosquitto_sub -t lora/+/up to see incoming packets. where “d29ybGQ=” is base64 representation of the word “hi”. to // Prepare upstream data transmission at the next possible time. 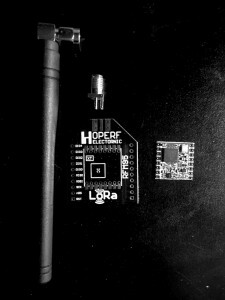 Soon, I will share my experience with modules from one of the new LoRa node makers from China.